We have been looking for a way to display our felt creations in shops, and markets, which allows people to see the item and pick it up without getting it dirty. We had been using plastic sleeves designed for greeting cards. But this seemed like a waste. 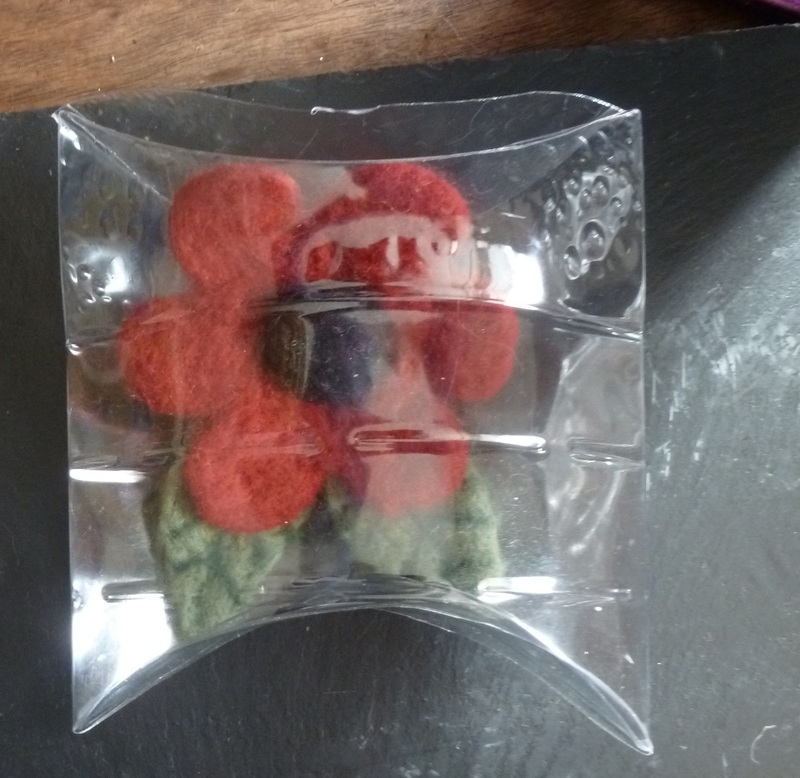 Andrea spotted this blog post for eco-friendly packaging, made from plastic bottles. It doesn’t take long to turn an old plastic bottle into a gift box, and once it has been used the purchaser can recycle it as they would a normal bottle. Problem solved! Our new website FeltBuzz.com will be launched soon. You can like us on facebook, follow us on twitter or just come back here for more Humpbuckle Creations.